It’s crucial for a business to understand, predict, and fulfill the customer’s expectations, ideally even before they know them. Especially in sectors like banking and finance, where a glimpse into people’s propensity to adopt a new program can make it or break it. It’s critical to get visibility into customers’ needs. California-based Beyond Limits turns such possibilities into reality by moving beyond the boundaries of conventional AI (Artificial Intelligence). 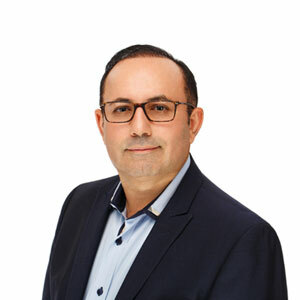 “We have designed solutions with technology that overcomes the limitations of conventional AI by creating hypotheses, testing outcomes, and choosing the right path using human-like reasoning,” explains AJ Abdallat, CEO, Beyond Limits. In the last few years, CIOs across organizations have been looking to adopt advanced AI solutions that can help aggregate data from disparate systems, eliminate inconsistencies, and bridge gaps. Beyond Limits addresses these needs with cognitive AI solutions enabling CIOs to take advantage of situational awareness and add valuable context to the data they have. Leveraging a unique portfolio of technology engineered for the US space program, the Beyond Limits team develops cognitive AI solutionsby mimicking the functions ofthe brain to support human-like reasoning and thinking processes. Unlike the opaque neural networks used in conventional AI, the company offers “explainable” AI, providing clear audit trials that justify the answers to issues with the evidence behind the reasoning. In regulated industries like finance, where organizations need accurate insights, the explainable nature of Beyond Limits solutions exceeds the capabilities of conventional AI. The company’s AI-powered systems help businesses garner insights on their customers, and help predict propensity for using new services. The systems can further identify anomalies in customer behavior and help clients keep a check on fraudulent activities. Believing that no one-size AI solution fits all, the Beyond Limits team develops bespoke, turnkey solutions for clients, leveraging client data sources and providing intelligent, human-like reasoning. The company takes a practical approach to AI and delivers advanced solutions that cater to specific needs of its clients. “We are not comfortable with the hype, the outlandish claims, the game-playing bots, the talking devices, and the futuristic human-like androids. Those are the clichés of conventional AI,” explains Abdallat. Over the years, Beyond Limits has built a clientele of forward-thinking companies, not only in the finance sector but also in energy, healthcare, and logistics. Before deploying AI systems on a mass scale, organizations need to test and optimize for seamless operations. Beyond Limits stays true to its practical approach to AI, with a process to demonstrate proof of concept and test AI solutions prior to rolling out at scale. At present, the company is working with large financial organizations to develop models that help derive insights from massive amounts of available data and predict trends for better decision-making by experts. These models cango beyond forecasting the customers’ ability to pay, powering services with new levels of mass personalization, which can be a significant advantage for banks and financial institutions. With 45 Caltech/JPL technologies proven in space missions, Beyond Limits has equally ambitious plans to expand its client base across international markets. The company is making significant investments to strengthen its innovations to grow across industries. And, to enable more ubiquitous deployments of intelligent reasoning to edge devices, the company is working to bring cognitive AI to the chip level.“Our technology is an evolutionary leap to a human-like ability to perceive, understand, correlate, learn, teach, reason, and solve problems faster than existing AI solutions,” concludes Abdallat.